Welcome to the new website for the Center for American Music. 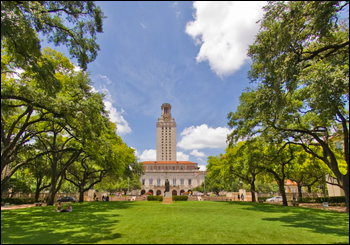 Please take a moment to explore the site, which includes course descriptions for Summer and Fall 2013 and information about who we are and what we do.The Center for American Music is located in the College of Fine Arts at the University of Texas at Austin. The Center for American Music is pleased to announce the appointment of Lorenzo Candelaria (Associate Professor of Musicology), Karl Hagstrom Miller (Associate Professor of History), and Gary Powell (Senior Lecturer in Music Business) to its Governing Board. MUS f307.2: History of Rock—This course surveys the development of rock music from its beginnings to the present, but with emphasis on the first half of its history. It will be concerned with the musicians and groups that have been most influential in rock’s history and with the social, political and cultural currents that have been at work in that history. This course carries a cultural diversity flag.